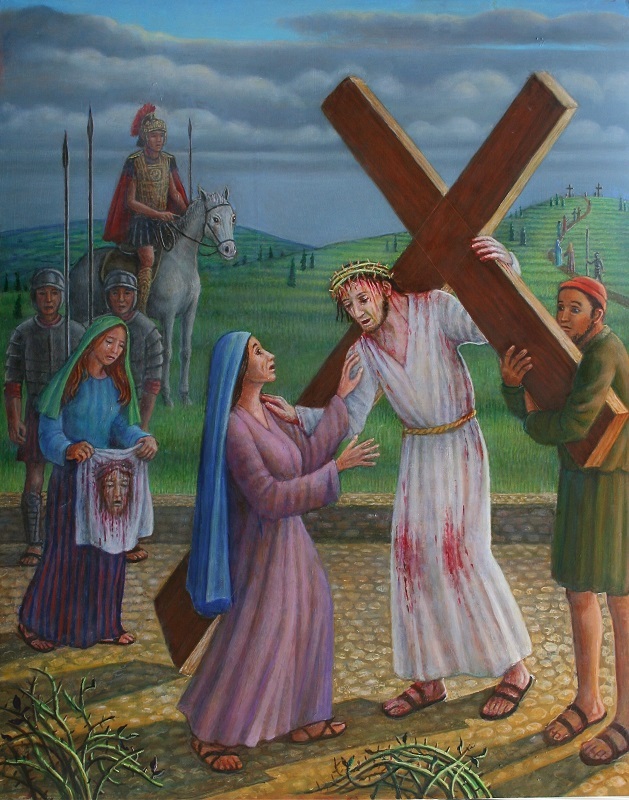 The painting shows the moment where Mary sees her son carrying his cross. She is nearly fainting with horror and in the midst of his own suffering, Jesus puts out his hand to comfort her. In the background Veronica holds the veil that has Christ’s image, while Roman soldiers behind her keep watchful guard. In the distance on the right, two crosses are already in place.